Below you will find an impeccable performance by Father John Misty from Conan last night. 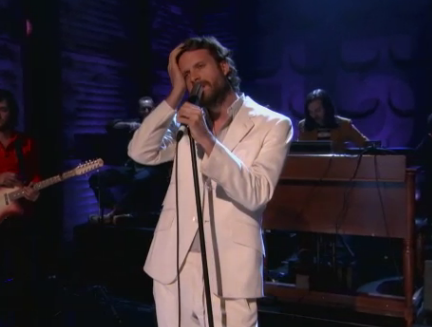 Bringing the crooner "Nancy From Now On" to Conan O'Brien's late night show, Josh Tillman and company deliver with just the right amount of charisma -- the cute little shoulder hug from Tillman to CoCo was cut out from the end, unfortunately. Stay tuned for more FJM goodies from FPT's coverage of their show last Tuesday in Chicago.